Grand Central Publishing, 9780446618793, 400pp. The search for Mr. Right starts here. 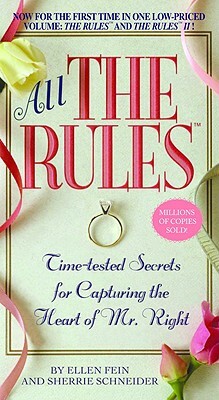 This simple set of dating dos and don'ts-combining The Rules and The Rules II-will teach you how to find (and keep!) a man who treats you with the respect and dignity you deserve. Lead a full, satisfying, busy life outside of romance. Accept occasional defeat and move on. Bring out the best in you and in the men you date. Whether you're eighteen or eighty, these time-tested techniques will help you find the man of your dreams.